Think of Sets as a mashup of existing and emerging Windows 10 technologies. Take Windows Explorer and the little-used Task View within Windows 10, mix in the newer "Pick up where you left off" and "Timeline" features, and wrap it all into a single-window experience. The idea is that every task requires a set of apps -- Mail, a browser, PowerPoint, even Win32 apps like Photoshop -- and those apps will be optionally organized as tabs along a single window. But that's not all. 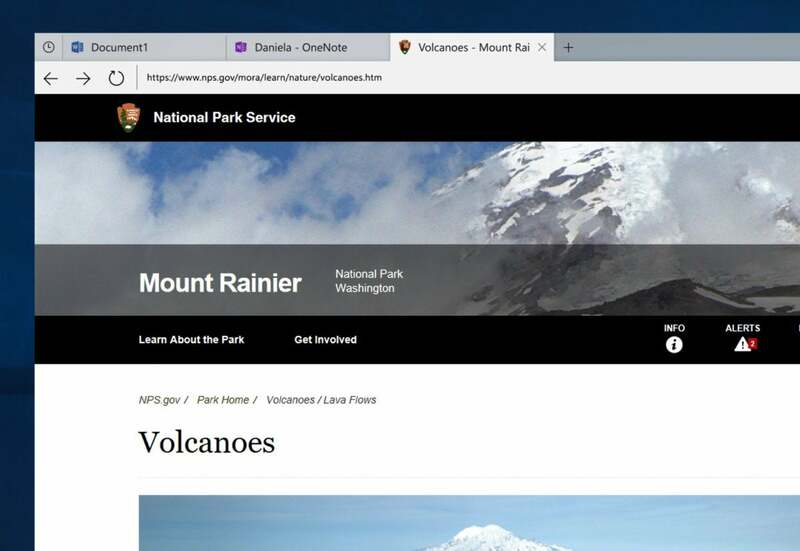 Microsoft knows that one of the most difficult things to remember isn't what you were working on a week or so ago -- browser histories help with that. It's remembering all of the associated apps and documents that went with it: a particular PowerPoint document, that budget spreadsheet, the context an Edge tab provided. The idea is that the delayed Timeline feature will eventually group and associate all of these into a Set, so that when you open one, Windows will suggest the others, too.